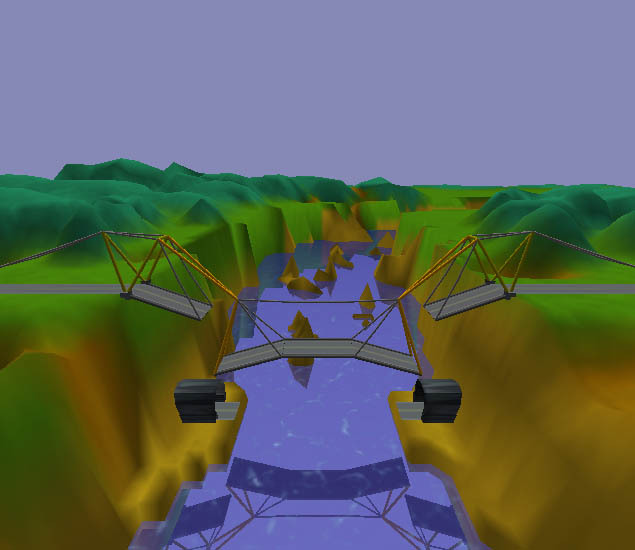 Santa Cruz, California - December 24, 2007 - Chronic Logic has released a update to their popular bridge building game, Bridge Construction Set. The update to the Independent Game Festival award winning Bridge Construction Set includes a universal binary version for OSX along with several other minor fixes. The robust physics deployed in Bridge Construction Set let you build a unlimited variety of bridges. Try your hand at giant suspension bridges, complex drawbridges, multi-level train and automobile bridges and everything in between. The 3D graphics allow you to view your bridge from any angle, including a first person view. It's like being strapped to the front of the train when your bridge is first tested. Bridge Construction Set v1.36 may be purchased for $19.95 USD. A demo is freely available. Located in Santa Cruz, California, Chronic Logic LLC was founded on the premise that a small development team can make games that are original, dynamic and fun. Chronic Logic continues to develop and distribute fun and original games such as Pontifex, Bridge Construction Set, Triptych, Gish and Kingdom Elemental.